​while having a cold beer or cider with your pup! 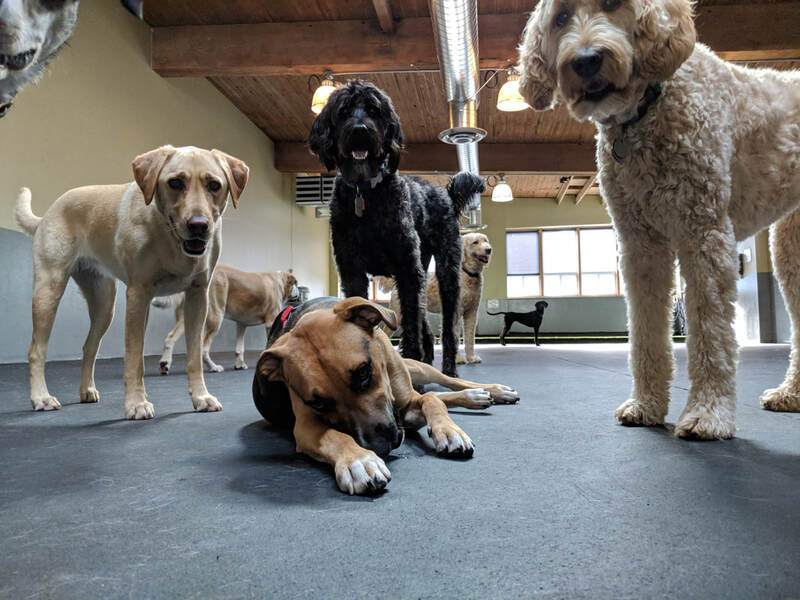 Welcome to Central Seattle's Indoor Canine Social Club where members have an indoor dog park with climate-controlled space to romp and play while staying dry in our safe, well-lit Indoor Dog Play Park. Play with your dog, exhaust them and then join the pack in our Ruff Lounge! You can grab a cold beer or other beverage and watch the game with your furry friend. Please note that you must become a member prior to the first visit. House of Ruff also offers its members a variety of other services, including extended daycare hours 7 days a week, overnight pack boarding, a Groomer, a private self-wash dog station, after hour private 30 minute park rentals and Event Rentals. House of Ruff is an experience unlike any other in the greater Seattle Area. Woof on the street has dogs and their owners excited! We hope you sniff around the rest of our website and learn how you and your dog can become members of the House of Ruff pack! Life ain't so Ruff once you become a member! Stop ruffing around and get your tail on over here! 1-2-3 Membership Registration: 1. Review our services and related ​Policies & Rules. 2. Click on Join the Club to download and complete your Membership Registration form. 3. Call 206-325-3476 to schedule your Meet & Greet appointment today!